Sometimes you find heaven where you least expect it. In a platter of gravy-soaked French fries. In bowls of plump shrimp, swimming in creamy South Carolina grits. In a crock of silky chicken liver mousse. Or—when things are really going your way—on a sleepy stretch of Webster. 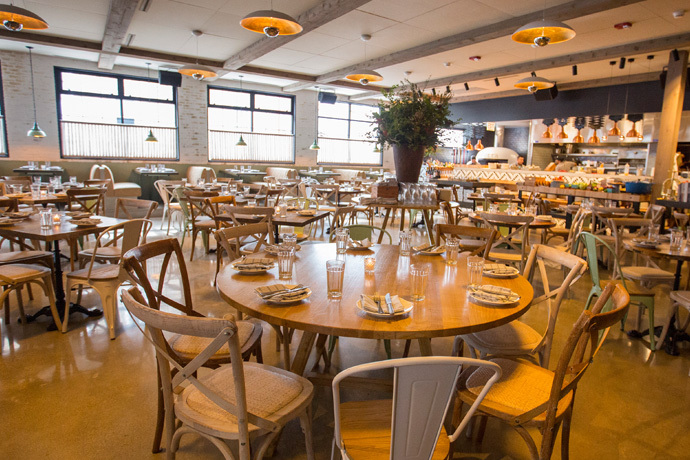 Presenting Kith & Kin, a new Lincoln Park dining paradise that sprang forth last night like some sort of mythic culinary wonderland, where your comfort food is served just how you like it: with a four-star pedigree. Imagine a cabin built in Napa, but with Chicago in mind—spare, chic and with enough wine to last you the winter. You can grab a seat at the bar, and down a hearty Belgian or crisp Czech beer (though Schlitz is served in antique glasses) while you dig into a succulent burger, in which everything from the brioche bun to the pickle are made in-house. But since the chef has worked elbow-to-elbow with Grant Achatz at French Laundry and then at the legendary Trio, you might want to settle into that little corner table in the back near the fireplace for a night of quirky white Burgundies, Mexican cabs and a rib eye so enormous it's suggested for two.